To fully appreciate Singapore's tropical weather, you will need to embrace resort wear. Specifically assembled for the shopper keen to indulge in a summer-all-year-round outlook. Simone Irani specializes in exactly that, fashionable resort wear that could take you from day to night without a hair out of place. Her innovative designs aim to provide affordable resort wear with a bohemian flair. 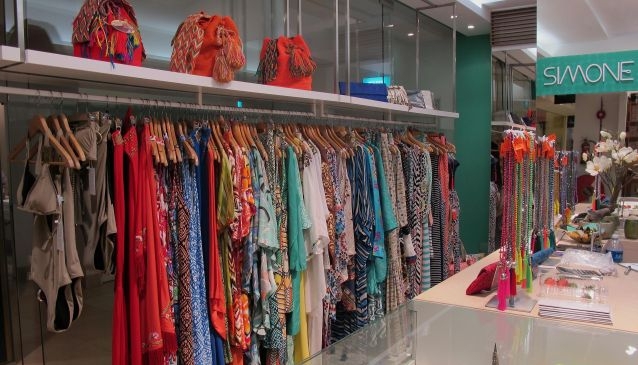 From kaftans to beach cover ups, your one stop access to summer essentials are all available in the cosy Simone Irani store at Cluny Court. Beyond Simone Irani's namesake designs, the store stocks various other designers and labels including bags from Desti Saint and bikinis from Mileti.